The elements were at work at Daytona this weekend, as the importance of patience and perseverance meshed with the need for speed during a rainy, 57th running of the Rolex 24 At Daytona, at Daytona International Speedway. It seems history was at work, as well. Former Formula 1 world champion Fernando Alonso and his Wayne Taylor Racing teammates emerged from the wet to win the event, which was halted under red-flag conditions due to increasingly heavy rain at 2:25 p.m., 10 minutes short of the scheduled time limit. Alonso becomes the third former Formula 1 champion to also win the Rolex 24. The others on that most illustrious short list: 1964 Rolex 24 champion Phil Hill and 1972 champion Mario Andretti. 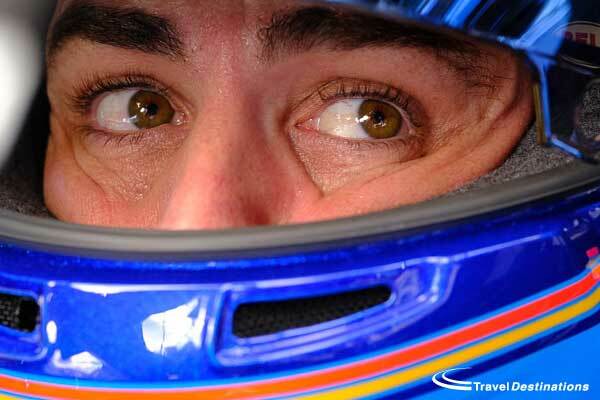 Alonso, racing in the Rolex 24 for the second-straight year, co-drove the No. 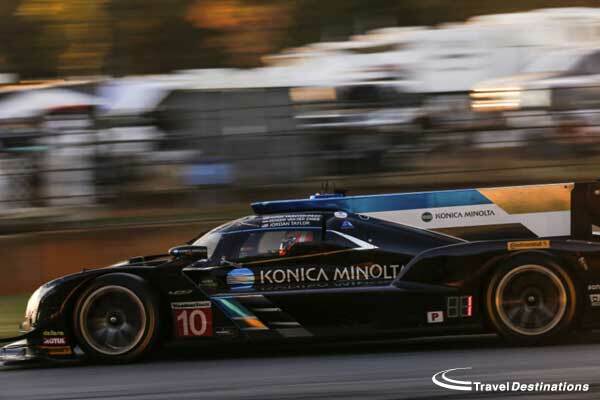 10 Cadillac DPi with Jordan Taylor, Renger van der Zande and Kamui Kobayashi. Finishing second was the No. 31 Cadillac DPi of Whelen Engineering Racing, co-driven by Felipe Nasr, Eric Curran and Pipo Derani. 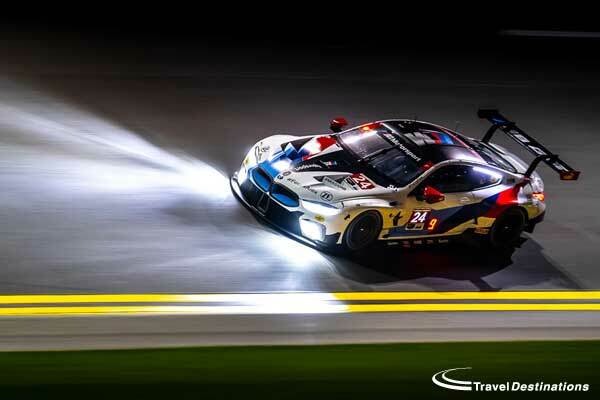 Grand Marshal and five-time Rolex 24 champion Scott Pruett gave the command to start engines on Saturday afternoon, with 47 cars across four WeatherTech Championship classes negotiating the 3.56-mile road course. The field was led to the green flag by Oliver Jarvis in the pole-sitting No. 77 Mazda DPi. 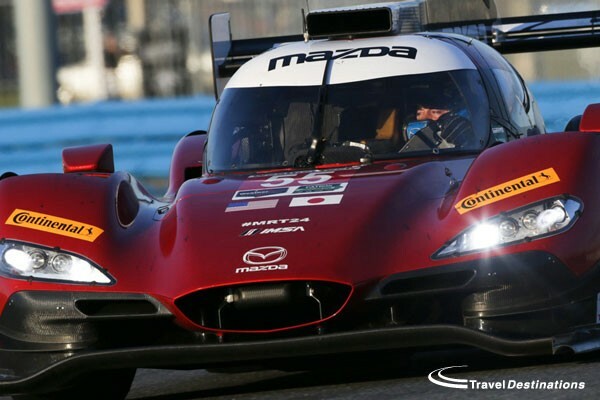 The highly-anticipated runs by the two Mazda Team Joest entries, however, failed to pan out. 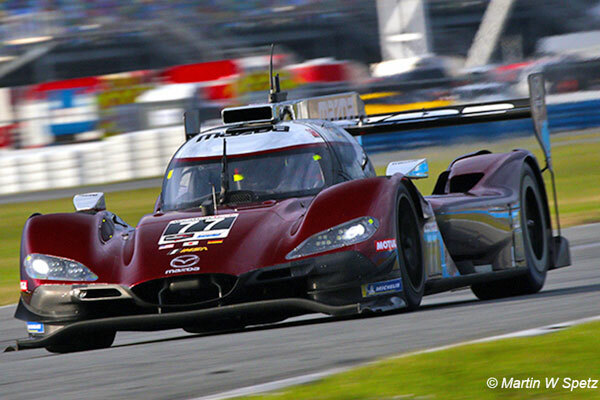 The pole-sitting Mazda left the race at the seven-hour mark after catching fire, having completed 220 laps. It ended 46th. A short while later, the team’s No. 55 car, which started fourth, developed a fuel leak problem and would finish 42nd. The inspiring Rolex 24 entry of Alex Zanardi ended with a 32nd-place finish in the No. 24 BMW M8 GTE. Zanardi is the former IndyCar driver who lost both legs after an accident in 2001. In years since, he has become one of the world’s top hand-cyclists while occasionally returning to the race track in specially equipped cars. 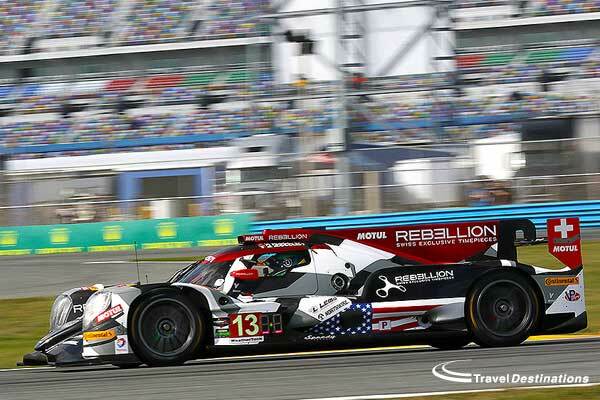 • In the LMP2 class, Roberto Gonzalez, Pastor Maldonado, Sebastian Saavedra and Ryan Cullen in the No. 18 ORECA LMP2. • In the GT Le Mans class, Augusto Farfus, Connor De Phillippi, Philipp Eng and Colton Herta co-driving the No. 25 BMW M8 GTE. 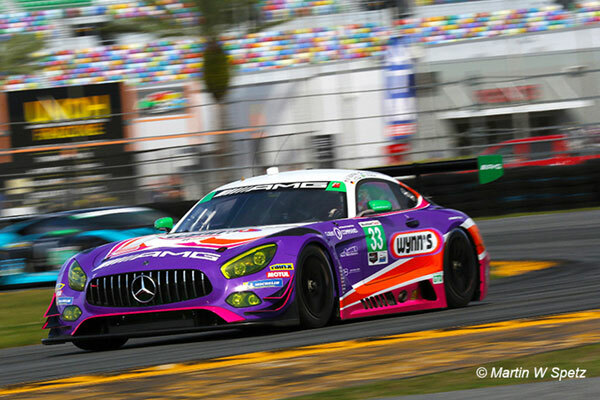 • In GT Daytona, Rolf Ineichen, Mirko Bartolotti, Christian Engelhart and Rik Breukers co-driving the No. 11 Lamborghini Huracan GT3, which also won the GTD class last year. 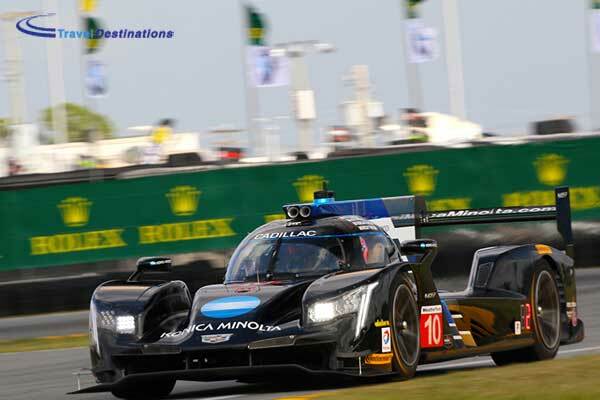 Travel Destinations guests really enjoyed this weekend’s Rolex 24 at Daytona. Despite the wet end to the race, our guests enjoyed getting privileged behind the scenes access with the Radio Le Mans, IMSA radio commentary team as well as hospitality in the Champions Club. Our hotel overlooking Daytona Beach was the perfect location to relax away from the track. 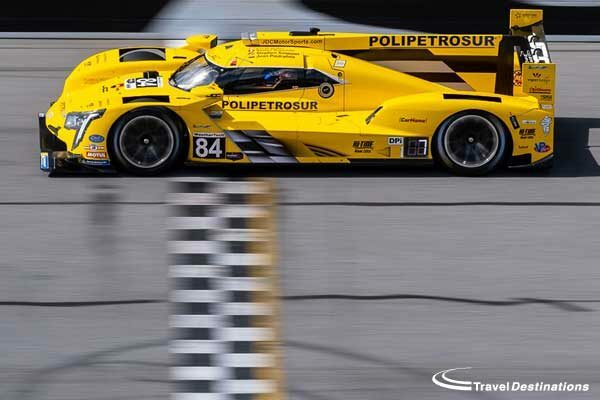 The world will be coming to Daytona International Speedway for the grand opening of its motorsports stadium, with a solid international field set for the debut race of the IMSA WeatherTech SportsCar Championship: the 54th Rolex 24 At Daytona on Saturday and Sunday, Jan. 30th – 31st. A 54-car field with drivers representing 24 countries serves as the opening race for Daytona Rising, the $400 million reimagining of the historic venue. In addition to kicking off the WeatherTech Championship, the race also will open the four-race Tequila Patrón North American Endurance Cup. 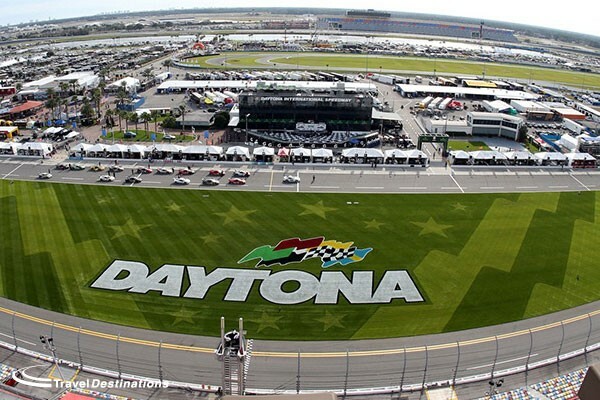 Daytona International Speedway founder Bill France Sr. envisioned sports car racing as bringing international recognition to his venue with the running of the inaugural Daytona Continental in 1962, an event expanded to 24 hours in 1966. Now, 50 years later, that event has grown into the Rolex 24 At Daytona. The field will include 12 world-class automotive manufacturers across the four classes, reigniting decades-long rivalries in addition to building new ones. 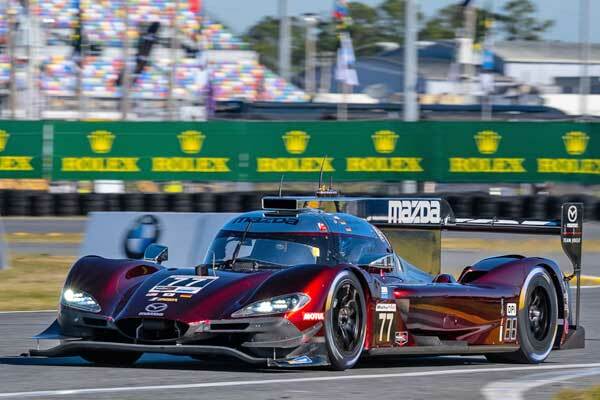 In the Prototype category, the battle for the overall victory will include the classic Ford vs. Chevrolet rivalry, but will be expanded to include Honda, Mazda, Nissan and BMW-powered prototypes, in addition to the one-of-a-kind DeltaWing. 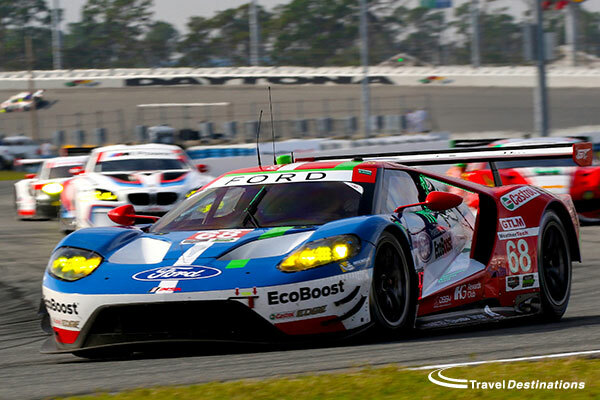 Ford and Chevy have split the overall victories the past two years, but if speeds at the recent Roar Before The Rolex 24 At Daytona were any indication, any one of the 13 entries in the Prototype class could feasibly pull into Victory Lane on the afternoon of Sunday, Jan. 31st. The GT Le Mans (GTLM) class features the pair of Corvette C7.Rs that won the Rolex 24 At Daytona, Mobil 1 Twelve Hours of Sebring and 24 Hours of Le Mans in 2015, as well as the defending WeatherTech Championship GTLM championship-winning Porsche North America team. 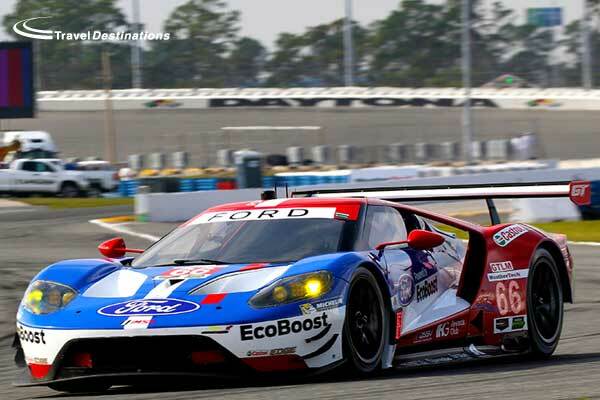 However, many sports car racing headlines over the past year have gone to the new Ford GT program, which makes its competition debut in the Rolex 24 At Daytona with a two-car effort fielded by Ford Chip Ganassi Racing. The return of the Ford GT begins a new chapter in the Ford-Chevrolet battle, while also reigniting a 50-year-old Ford vs. Ferrari fight. The field also will include a pair of brand-new BMW M6 GTLM race cars from BMW Team RLL. The GT Daytona (GTD) class, which has adopted full FIA GT3 technical regulations in 2016, features a 22-car field and seven different manufacturers. Familiar GTD brands Audi, Porsche and BMW all will debut brand-new race cars in the Rolex 24, alongside updated machinery from Ferrari, Dodge and Aston Martin. Joining the GTD fray this year for the first time will be Lamborghini, with five Huracáns in a field stacked with manufacturer, team and driver talent. In Prototype Challenge (PC), eight teams and a host of strong driver lineups will battle it out for class honors. In total, all but three of the 54 entries feature driver lineups with mixed nationalities. 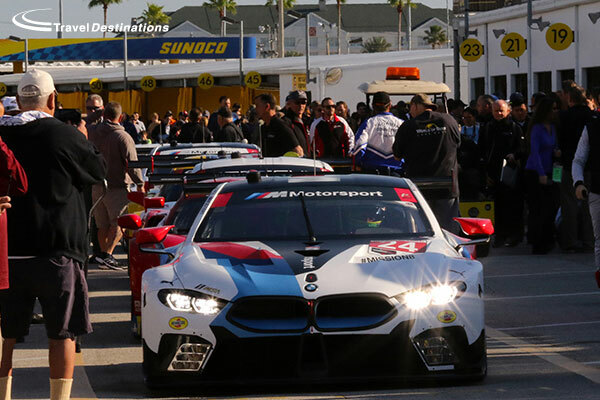 The United States has the most drivers entered with 87, while Germany leads the list of visiting countries with 23 drivers represented in the preliminary Rolex 24 entry. Great Britain is next with 19 drivers, followed by Italy, 16; France, nine; and Canada, seven. Austria, Brazil and Mexico are each represented by six drivers. Four female drivers are set to compete in this year’s race. British driver Katherine Legge returns to the No. 0 Panoz DeltaWing Racing coupe in the Prototype class. 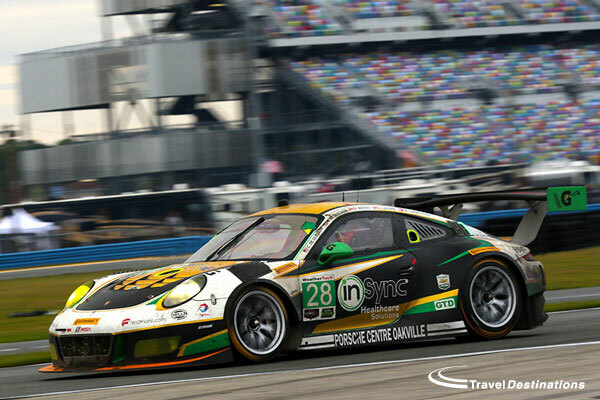 Competing in GT Daytona (GTD) are German Sabine Schmitz in the No. 30 Frikadelli Racing Porsche 911 GT3 R; Christina Nielsen of Denmark in the No. 63 Scuderia Corsa Ferrari 458 GT3; and American Ashley Freiberg in the No. 96 Turner Motorsport BMW M6 GT3. Practice for the Rolex 24 At Daytona begins the morning of Thursday, Jan. 28th , with qualifying taking place later than afternoon. The weekend also includes the BMW Performance 200; the opening round of the IMSA Continental Tire SportsCar Challenge. Travel Destinations customers will be back again this year enjoying the full spectacle. If you fancy joining us at Daytona in January 2017 call us now to register your interest and we will let you know when you can reserve your place at the Rolex 24 at Daytona. 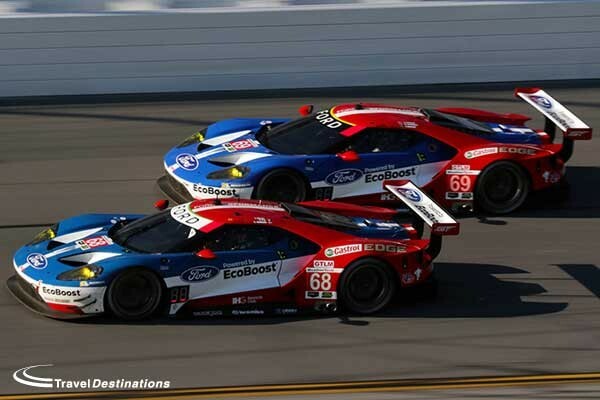 Chip Ganassi Racing’s “Star Car” lived up to its billing in the 53rd Rolex 24 At Daytona. With a lineup of IndyCar’s Scott Dixon and Tony Kanaan joined by NASCAR Sprint Cup Series regulars Jamie McMurray and Kyle Larson, the No. 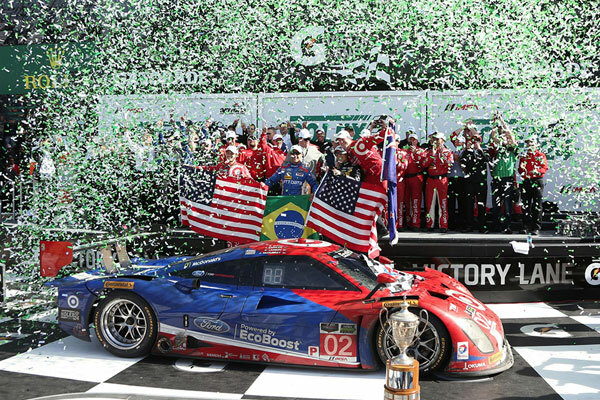 02 Target Ford EcoBoost/Riley prevailed in a hard-fought battle with Action Express Racing and Wayne Taylor Racing to win the opening round of the 2015 TUDOR United SportsCar Championship. The race came down to a seven-minute, 30-second sprint to the finish, with Dixon holding off defending race winner Sebastien Bourdais by 2.267 seconds at the checkered flag. The victory enabled McMurray to join A.J. Foyt and Mario Andretti as the only drivers to win both the Daytona 500 and Rolex 24. Dixon won the Rolex 24 for the second time – winning in the Ganassi No. 02 in 2006 – while Kanaan and Larson joined McMurray in winning the event for the first time. 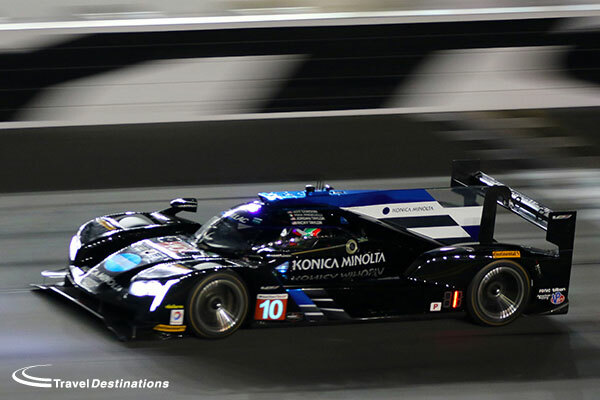 It was Ganassi Racing’s sixth Rolex 24 triumph in 12 attempts. The race shaped up as a shootout between Dixon and Jordan Taylor. However, a miscalculation over the latter’s driving time brought the No. 10 Konica Minolta Corvette DP to the pits during the final caution. Ricky Taylor took over, served a penalty for pitting out of sequence and finished third, giving the team its third consecutive podium in the event. Bourdais moved into second in the closing minutes but could not challenge Dixon, joining Joao Barbosa and Christian Fittipaldi in giving the 2014-winning No. 5 Mustang Sampling Corvette DP a second-place finish. The latter half of the race was a four-car, back-and-forth battle among the eventual top-three finishers and the No. 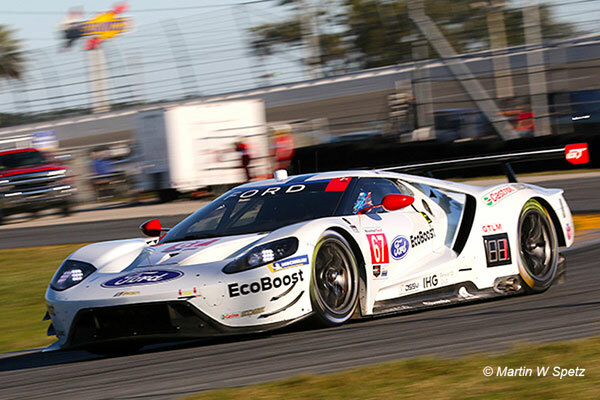 01 Ford EcoBoost/Riley of Scott Pruett, Joey Hand, Charlie Kimball and Sage Karam throughout the final 12 hours. However, clutch problems with two hours, 30 minutes remaining dropped the No. 01 car from contention, ending Pruett’s bid to become the lone six-time overall winner of the Rolex 24. 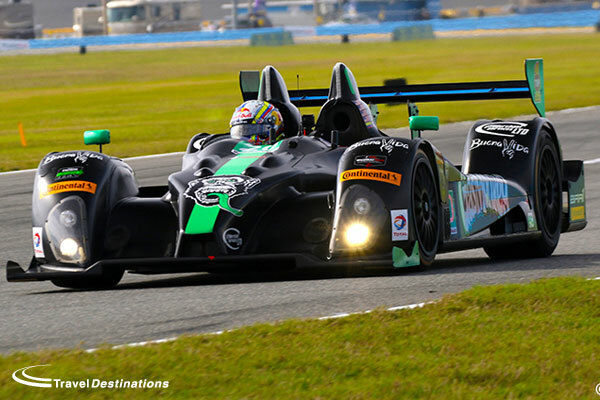 Attrition thinned the Prototype field, with retirements including both Tequila Patrón ESM Honda HPD ARX entries and the two SpeedSource SKYACTIV Diesels, in addition to the Krohn Racing Ligier/Judd, DeltaWing DWC13, and Starworks Motorsport Dinan BMW/Riley. Misfortune in the final hour of the race ended a dominant effort by CORE autosport in the Prototype Challenge (PC) class, allowing the No. 52 PR1/Mathiasen Motorsports Cuttwood/Spyder Orafol ORECA FLM09 to win with drivers Tom Kimber-Smith, Mike Guasch, Andrew Novich and Andrew Palmer. Second, one lap down, was the pole-winning No. 16 BAR1 Motorsports Autosport Designs/Top 1 Oil ORECA of Johnny Mowlem, Tom Papadopoulos, Tomy Drissi, Brian Alder and Martin Plowman. The No. 54 CORE autosport Composite Resources/Flex-Box ORECA FLM09 of Ben Keating, Colin Braun, James Gue and Mark Wilkins held a multi-lap lead for much of the event. 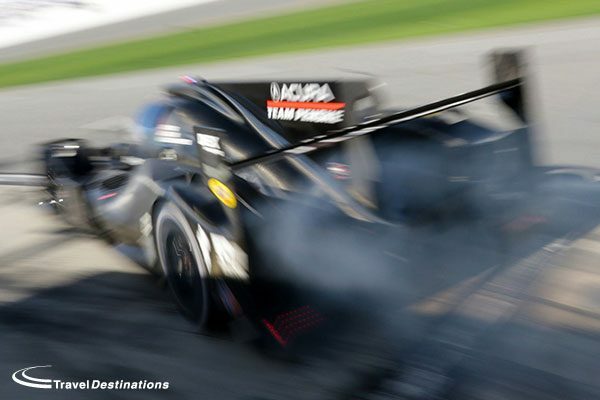 With 20 minutes remaining, Braun had contact with a Prototype and spun. He returned to the circuit, only to spin at the exit of the chicane after experiencing suspension failure. The car then hit the wall and caught fire. The car completed enough laps to finish third in the class. A 24-hour race came down to a seven-and-a-half minute sprint to the checkered flag in the 53rd Rolex 24 At Daytona with the No. 3 Corvette Racing Chevrolet Corvette C7.R beating the No. 25 BMW Z4 GTE from BMW Team RLL to the stripe by a mere 0.478 seconds. The GT Le Mans (GTLM) class win was Corvette Racing’s first class victory at the Rolex 24 since 2001. It was a Corvette vs. BMW battle for much of the final quarter of the race with Antonio Garcia holding a comfortable lead in his Corvette over Dirk Werner’s BMW with 20 minutes remaining. That lead quickly evaporated, however, when Prototype Challenge (PC) class leader Colin Braun made contact with the wall coming out of the chicane on the backstretch forcing a full-course caution period. Werner closed the gap throughout the final six laps, but fell just short at the checkered flag with Garcia joining co-drivers Jan Magnussen and Ryan Briscoe in the victory. Garcia won the Rolex 24 overall in 2009 for Brumos Racing. Corvette Racing did not compete at Daytona from 2002 through 2013 before joining the TUDOR United SportsCar Championship for its inaugural 2014 season. The No. 4 Corvette Racing Corvette C7.R entry of Tommy Milner, Oliver Gavin and Simon Pagenaud was in contention for the race win, but lost four laps after making contact with the No. 66 RG Racing BMW Dinan/Riley Prototype with three hours remaining and finished third. The No. 93 TI Automotive/ViperExchange.com Dodge Viper SRT GT3-R and drivers Ben Keating, Al Carter, Dominik Farnbacher, Kuno Wittmer and Cameron Lawrence had the field covered for much of the Rolex 24 in the GT Daytona (GTD) class. They found a challenge from the No. 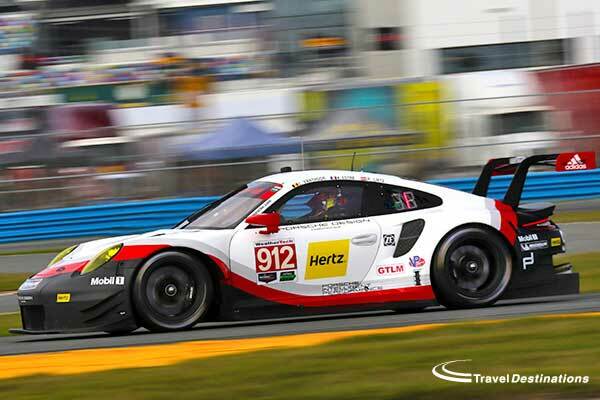 22 WeatherTech Racing Porsche 911 GT America of Cooper MacNeil, Leh Keen, Andrew Davis and Shane van Gisbergen — the two cars combined to lead the final 209 laps of the race — but Farnbacher led the last 49 circuits en route to a 7.588 second victory. 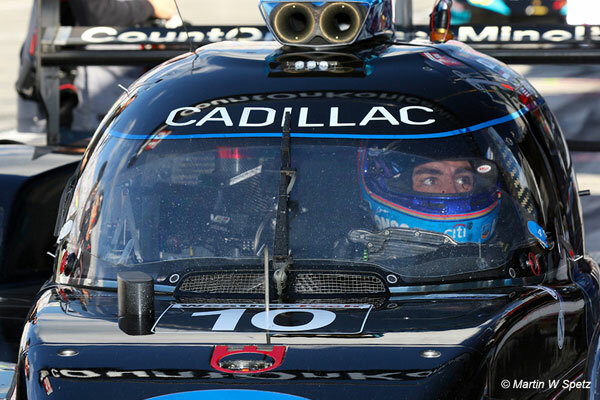 Hollywood actor and avid sports car racer Patrick Dempsey rounded out the top three in the No. 58 Dempsey/Wright Motorsports Porsche 911 GT America co-driven by Madison Snow, Jan Heylen and Philipp Eng. The third-place finish matched Dempsey’s best career finish in the Rolex 24.